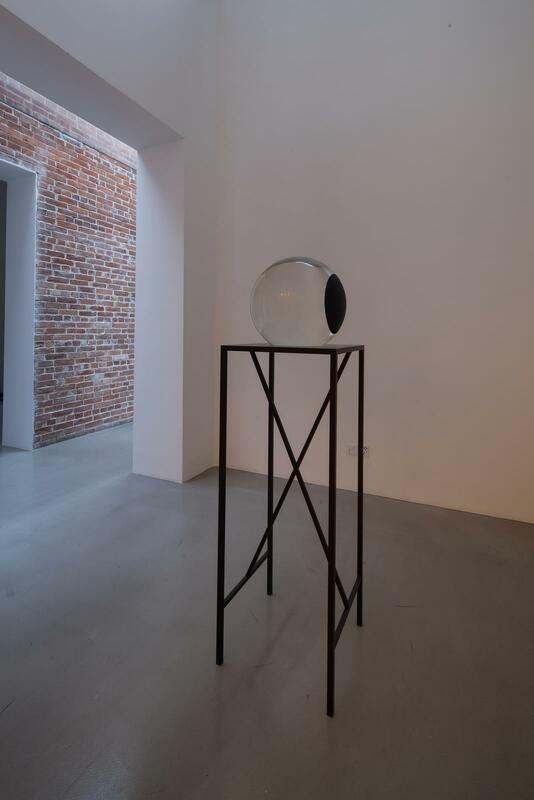 In Open ego, a large glass sphere, the back portion of whose surface has been covered with a mirror finish and painted flat black, is displayed on a stand. 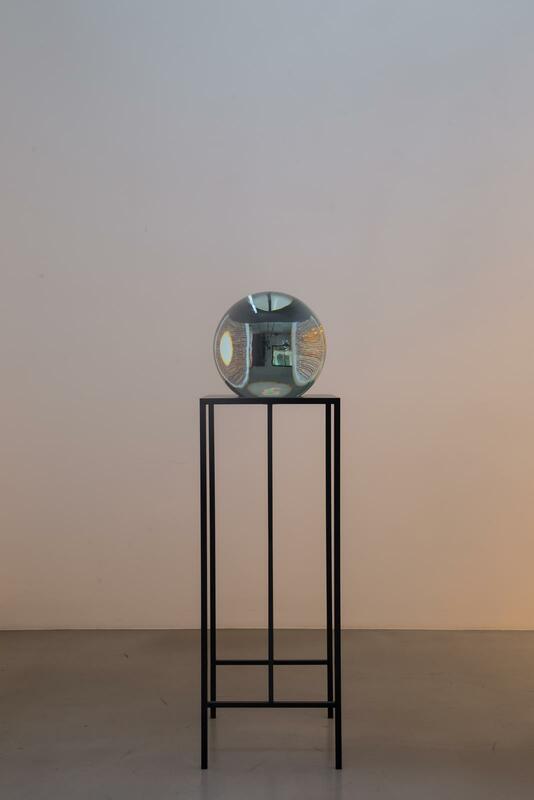 Looking into the sphere, the viewer sees himself placed within the context of the surrounding space, a spatial context exaggerated by the wide-angle of the mirror’s convex surface. The sphere serves as an optical device, offering visitors distorted views of not only the visitor but also their entire environment.